The Barrington Board of Education OK’d a plan during its regular monthly meeting for Archway Programs, the company the runs the daily Just Kids program at Avon School, to run a summer camp at the school. The board also voted to send its spending plan to the county board of education for approval. 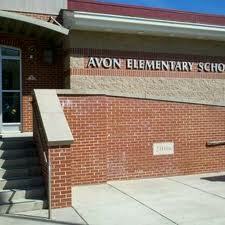 The Avon summer program will be the second summer camp for Archway, which also runs a summer camp in Collingswood. The program offers care from 7 a.m. through 6 p.m. for three-, four- or five-days per week. There is also a half-day morning option. It will also include community service projects, field trips, breakfast and an afternoon snack. Details are being finalized. Contact Archway for more information. The board also moved ahead with its $14 million spending plan for 2014-2015, which includes a $9.6 million local tax levy. Because tax increases are within the 2% cap, the budget can be approved without a public vote. A detailed budget presentation will be made to the public before final approval. — Recognized February students of the month: Elizabeth Berwick, Marissa Cox, Kieran Mc Keown, Natalie Rehn, Molly Barr, Stephano Dilks, Griffen Pentz and Shannon Slater. — Heard from Superintendent Anthony Arcodia that there already are 47 children planning to register for kindergarten next year, one of the largest numbers ever at this point in the year. — Gave preliminary approval to plans for bidding to begin on capital projects including roof repairs, drainage work and masonry work at Woodland School. 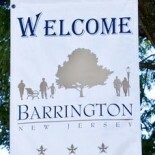 This entry was posted on March 20, 2014 by Barrington Bulletin in Schools and tagged board meeting.